Mrs. Müller vented her frustration in a hastily deleted Instagram post, but the Internet is forever. 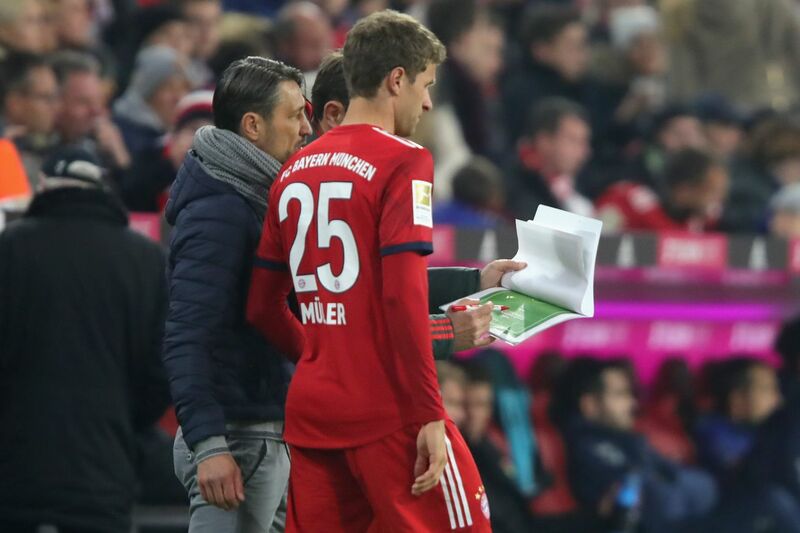 Thomas Müller watched most of Saturday?s home match against SC Freiburg from the bench. Head coach Niko Kovac opted to sit Müller today in favor of James Rodriguez in the attacking midfield and Arjen Robben on the right wing, while Serge Gnabry covered the left. The offense began well, threatening Freiburg repeatedly in the opening minutes of the game, and then fell flat for over an hour. Lisa Müller obviously felt that Kovac had waited far too long to bring her husband into the game. The slightly disparaging way she refers to Kovac (?der?) suggests that this is far from the first time that she has found fault with the coach.